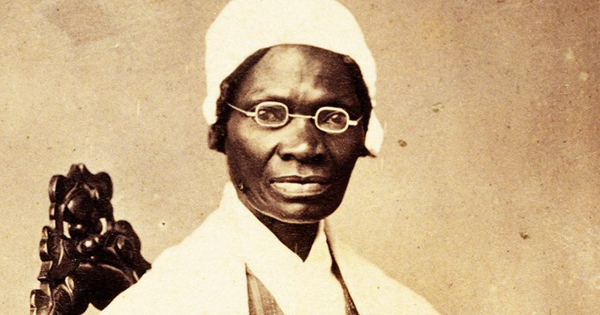 Sojourner Truth's First Language Was Dutch... and 10 Other Things Most People Don't Know About Her! Sojourner Truth (born in 1797 in Swartekill, Ulster County, New York) is remembered in history as a strong Black women's rights activist and abolitionist who worked hard to end slavery across the United States. Most people don't know this, but her first language was Dutch. But there is a lot more about her that many people are unaware of! #1 - Her real name was Isabella Baumfree, and she was born to slaves James and Elizabeth Baumfree, in Swartekill, New York. #2 - She was sold at the young age of 9-years old to a violent farmer who beat her daily. Because she only spoke Dutch, she was forced to learn English by her owner John Neely or suffer more beatings. #3 - By 1825, she had 5 children and was married to another slave. Emancipation was not proclaimed until 1827, leaving her little choices for freedom. #4 - Her owner John Neely promised to free her earlier if she stayed, but he did not keep his promise so she escaped from him. Neighbors purchased her for $20 and she stayed with them until emancipation was declared in 1827. #5 - Her former owner tried to sell one of her sons into slavery, so she bravely took him to court…and won! This was the beginning of many bold efforts by her to fight for her rights and the rights of other slaves, especially women. #6 - In 1843, she changed her name to Sojourner Truth. By this time, she was traveling around the country telling others the truth about slavery. She was an excellent speaker who could tell very compelling stories. #7 - She had the privilege of meeting President Abraham Lincoln, and telling him her life stories. She even helped to recruit African-American soldiers to fight for the Union in the American Civil war. #8 - She died at the age of 86 in 1883 in Battle Creek, Michigan. #9 - Sojourner Truth had many things named after her, including the Sojourner Truth Library at New Paltz State University in NY, an interstate highway in Michigan, and NASA named the Mars rover "Sojourner" after Sojourner Truth. #10 - She was the first African-American woman to be honored in the U.S. Capitol with a bronze sculpture often referred to as a bust.